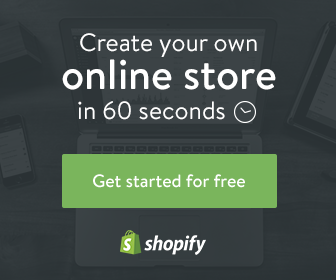 Home > dropshipping & select > How Much Can You Earn From Drop Shipping? As you know, drop shipping is one of the easiest ways to make a great profit online. For one, it does not require a huge budget. 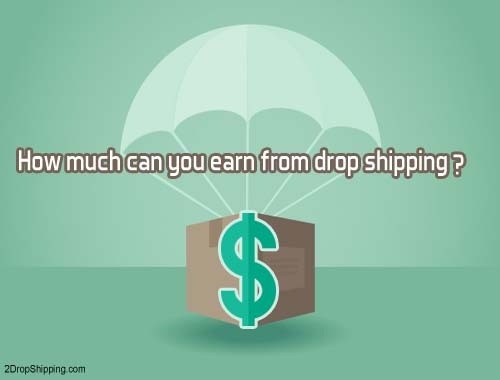 But how much can you earn from drop shipping? To be honest, it’s hard to determine an accurate number you can make each month. However, we can answer related questions like How much money can you earn per sale? and how many items can you sell every month? How much can you earn per sale? This relies on how much energy you are willing to put into researching which product to sell. You can find many items with a profit between $1 and $5, but you will need more sales and more time to make a decent amount of money every month. This way is not recommended, and it’s not worth your effort. Instead, you should be looking for items which can earn you a minimum of $15 and up in profit per sale. In my previous post I wrote about how you can make over $1900 per month through Amazon Drop Shipping! If you also need to make the most out of your drop shipping I recommend reading the dropship lifestyle review. How many products will you sell each month? Does your item have a good demand? Does your item have cheap and good suppliers to drop ship it? If your item has a good demand, good drop shippers, and low competition, then you can expect to sell more and more items through your marketing plan. You can benefit from tools like Google Keywords Planner to research keywords and MOZ toolbar to test the page and domain authority of your competitors’ websites. You can also use a tool called FBA toolkit to see how many units you can sell. Another important tool you can benefit from is salehoo, where you can find good and cheap drop shippers for your item. Click here to read our salehoo review. Finally, I advise you to not focus on things like how much you can make, how many items you can sell, and other time-wasting questions. Instead, if you can smartly select your product and smartly market it, you will without a doubt start making real, good money every month. Lots of people who do drop shipping business are always ask How much can I earn from drop shipping? this article answer this question and related questions.